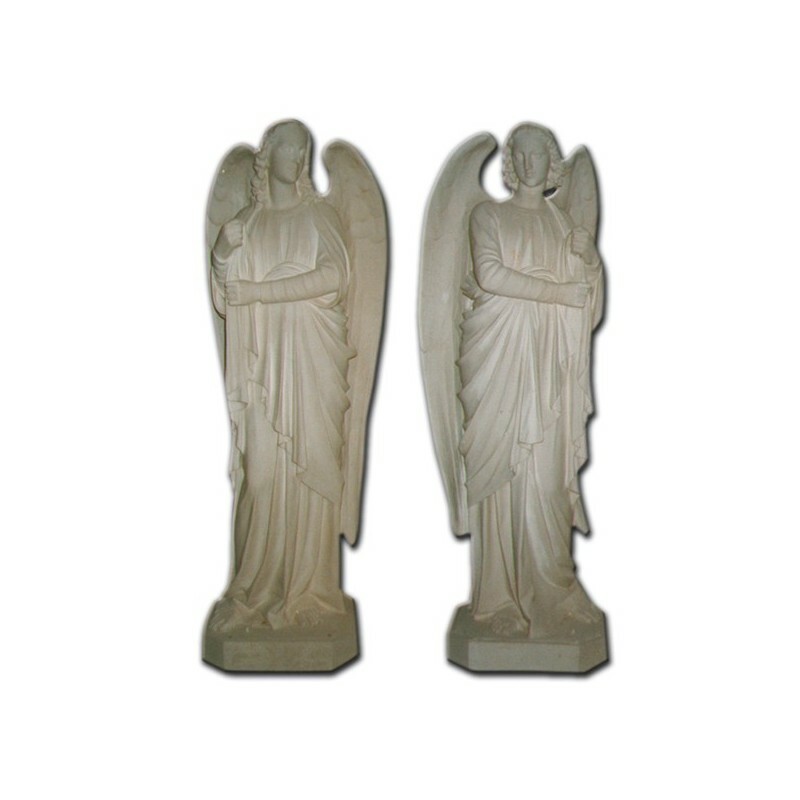 Statue of Standing Angels (candleholders) of 160 cm. 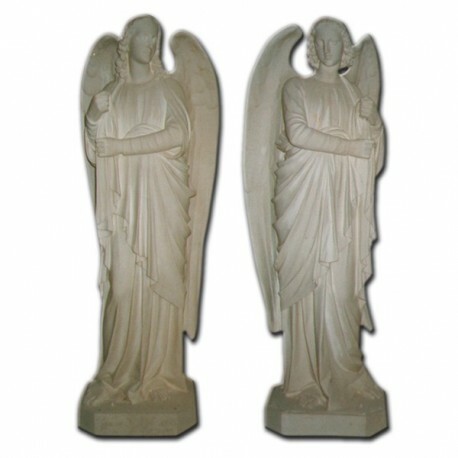 Standing Angels (candleholders), 160 cm of fiberglass, handmade in Italy. 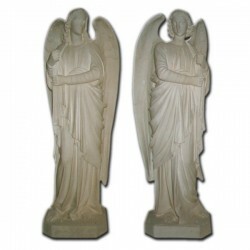 Fiberglass statue, internally empty and very light. It is suitable to be carried during the processions. The manufacturing is entirely manual. When the two parts are linked, there is the finishing of the statue and it is perfectly smoothed, then the statue goes through the coloring section. The skilled decorators hand paint using particolar varnishes, conforming to the traditional iconography. The fiberglass is a plastic material, very resistant and humidity absorber which is used in many sectors: industry, furnitures, building of boats, airplanes, vehicles, garden swimmingpool etc.